Having a backend page that has about 1000 select boxes that need to be initialized by a searchable/autocomplete selectbox. I checked the loading times of the page and the time of the initializitation of the select box. I measured it first by hand and later on by Safari web console. Measuring by hand: about 8s-11s. Has no ajax support, if you want to do this, you can combine it with select2. Measuring by hand: initializing takes about 9s-16s. Selectize.js: about 19s. Console crashes after 29s. So, I exclude further results. Bselect: more than 40s, I got bored counting, so I exclude further results. It is initializes as fastest, being about 1,5x as fast as Select2. Although, Select2 has lot more functionalities and is better maintained. When you only need simple searchable select boxes and mind about performance, Chosen is the best choice. Note that it is only one simple configuration, it might be that in other configurations Select2 is faster than Chosen. 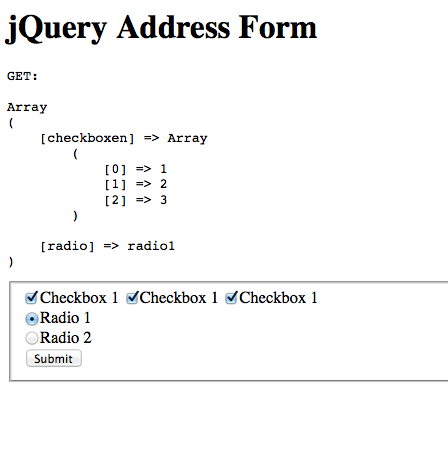 For jQuery hash support I like the jQuery Address plugin: http://www.asual.com/jquery/address/ . Especially, if you want to make a form or product filter, you can use this variant: http://www.asual.com/jquery/address/samples/form/ . Though, it doesn’t support checkboxes in the form of arrays like check=1&check=2 , etc. I updated the plugin with some other libraries and code and now it works.